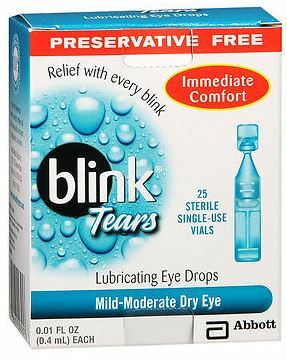 Blink tears are sterile lubricating eye drops Polyethylene Glycol 400 0.25%, in single 0.4ml droperette vials. Preservative free. 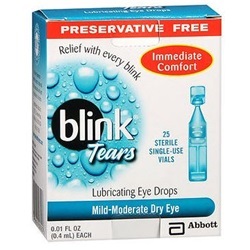 Mild-moderate dry eye symptom relief. Manufacturer: Abbott. Comes 25 dropper vials per box.